For 2018 I had a goal of reading twelve books and I surpassed that goal. I am a book lover that had gotten off of track because of children and life. It felt really good to get back into the habit of reading. I only count books that I am reading for myself and not the books that I read aloud to the children. I am increasing my goal for the year from 12 to 24 books. I have not chosen all of them but I have a good stack to get started and I can add to my list as I find good books to read. I am going to start out in January by finishing a book I started last year and put down after the hurricane, Becoming MomStrong. It was a really good book and I am excited to get back into it. I have also been reading Uninvited by Lysa TeKeurst and hope to finish that this month. Then I can dive into the rest of my 2019 list. I plan to get quite a few of them from my own book shelves where I have lots of good books that I haven’t found the time to read yet. In addition, I am excited to hear about the books that you are reading and hope to find some good suggestions in the comments. Just Open the Door is a great book on hospitality or at least the few chapters that I have already read. I received this book as a Christmas gift and I couldn’t help but get started. I love the down to earth suggestions combines with Biblical advice. I am hoping to finish it in January as well and begin to implement some of her strategies. Girls Club: Cultivating Lasting Friendships in a Lonely World is a new book by Sally Clarkson and her daughters Sarah and Joy. I honestly have read many of her books and not found one I did not like. I am so excited to read this one when it releases in February and I already have it pre-ordered. She gives wonderful practical advice with high ideals and a Biblical foundation. Cottage Tales of Beatrix Potter is a series that I have been reading since the summer of 2017. You will notice that I tend to gravitate towards non-fiction but I do also love this charming fiction series that is based on the life of Beatrix Potter. Journey that Saved Curious George is a children’s book and I will probably end up also reading it to my children but I included it on my list because my wonderful husband bought it for me after I had seen a blogger friend review it. It looked like such a great book that I mentioned wanting it and it showed up on the Christmas tree. I plan to read it for myself and then share it with the children. It is the story of how the author of Curious George, HA Rey, escaped Paris as the Germans advanced. Those books will give me a good start to my reading goals for 2019 and I will be adding as I go along. I am hoping that at least half of my books will be books already on my shelves or in one of my reading baskets. There are so many books and so little time, but I have found that keeping books available and ready and reading even a few minutes at a time really adds up. Do you have a reading list or any reading goals for 2019? Also check out this fun list full of classics from The Life We Build. LAST CHANCE ENDS TODAY!! Make meal planning easier with done-for-you meal plans and a variety of recipes that will keep your menu full for years with the Healthy Meal Planning Bundle. Get recipes for every type of eating style for $37 during this 6-day sale! This looks like a great list. I might have to snag some of these for me. I’m trying to get back into reading again FOR REAL! I hope that this is the year you can get back into it! I know how hard it is sometimes but reading is so much fun and so beneficial. Looks like a great list! I’m interested to see how you like Open The Door – that one sounds good. Of course you can’t go wrong with Sally Clarkson books. If you are starting a book club this year, I’d love to join. 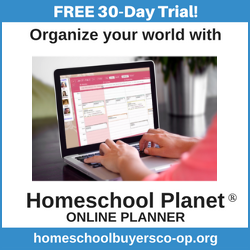 The Organized Homeschool Life is going to be a fun group- thanks for sharing! I’ll be looking forward to the updates! 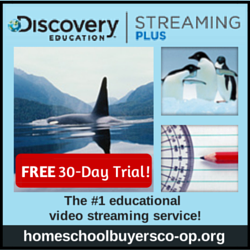 Great, I’m trying to decide which book to do so let me know if you have any thoughts and I’m excited to go through the Organized Homeschool Life with you. Good Luck with your goals and if you try those books let me know what you think. I read a lot of fiction, but not that much non-fiction any more. The Sarah Clarkson one looks really good, and I would like to read that one! I tend to be the opposite, reading lots of nonfiction but I’m working on balancing it out a bit more. I love looking at everyone else’s list! Feel free to leave a link to yours if you do a post. Anne of Green Gables is one of my favorite books from my childhood. I’m making a list of books as I read them this year. Anne brings back fond childhood memories. I’m so excited to be sharing it with my daughter. I’ve really let my personal reading fall to the side. But as my oldest is getting toward more great literature, I’m looking forward to sharing stories with her more. It is so easy to let our personal reading fall to the side. I felt the same way and have been working since last year to make sure I’m reading more! Just Open the Door is a book I think I need to read. Thanks for linking up at Drop Everything And Read at Tales of a Pee Dee Mama. It is a great book, I have a more thorough review of it coming out this week!